Which address best summarizes the IPv6 addresses 2001:DB8:ACAD::/48, 2001:DB8:9001::/48, and 2001:DB8:8752::/49? What is a characteristic of manual route summarization? 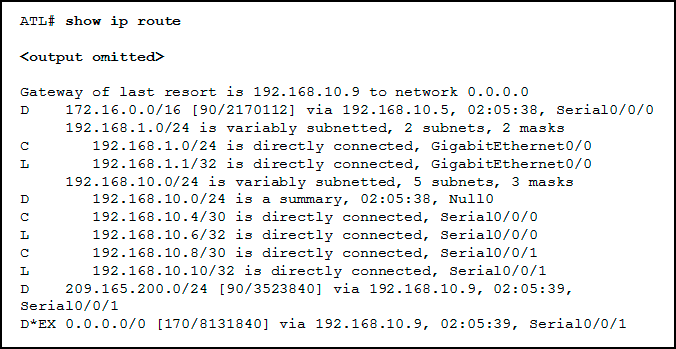 The (passive-interface, PASIVE-INTERFACE) command causes an EIGRP router to stop sending hello packets through an interface. 24. 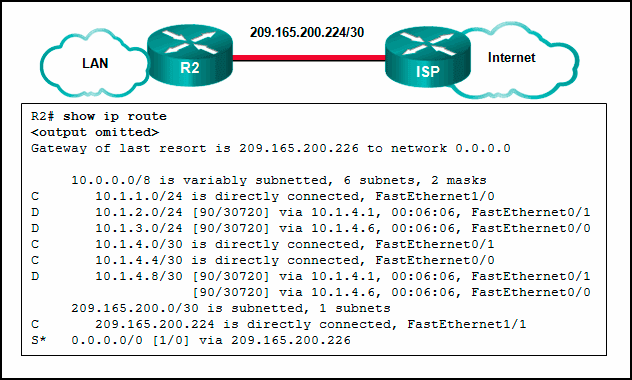 By default, how many equal-cost routes to the same destination network will EIGRP install in the routing table? 25. 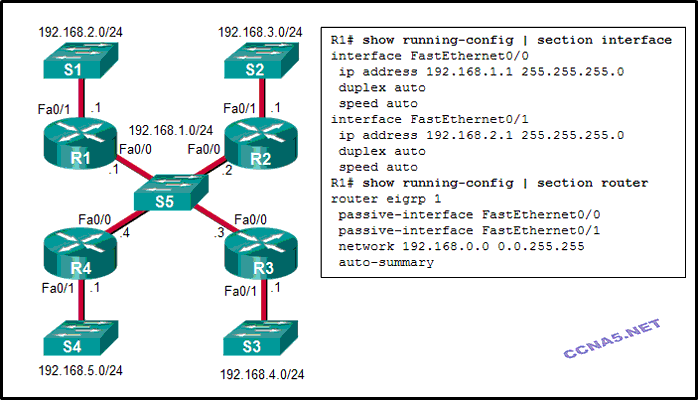 Which administrative distance is used to advertise routes learned from other protocols that are redistributed into EIGRP? 26. 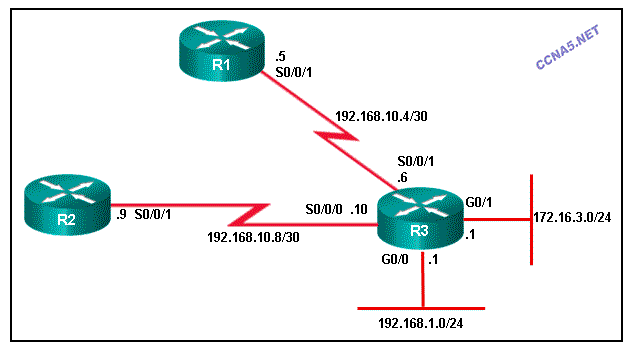 What is the purpose of a Null0 route in the routing table? 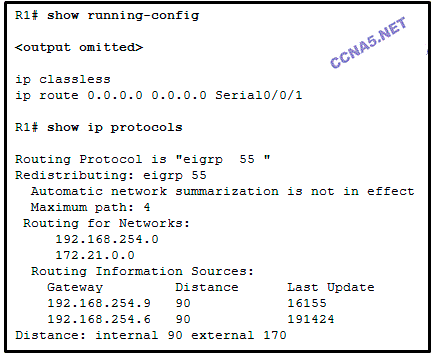 Router CiscoVille has been partially configured for EIGRP authentication. 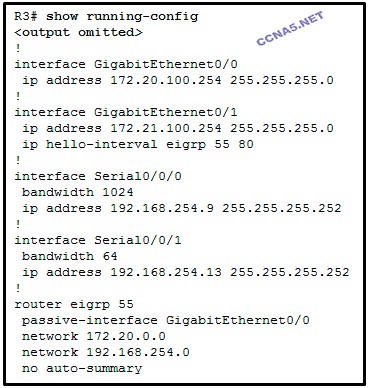 What is missing that would allow successful authentication between EIGRP neighbors? 29. Which EIGRP parameter must match between all routers forming an EIGRP adjacency? 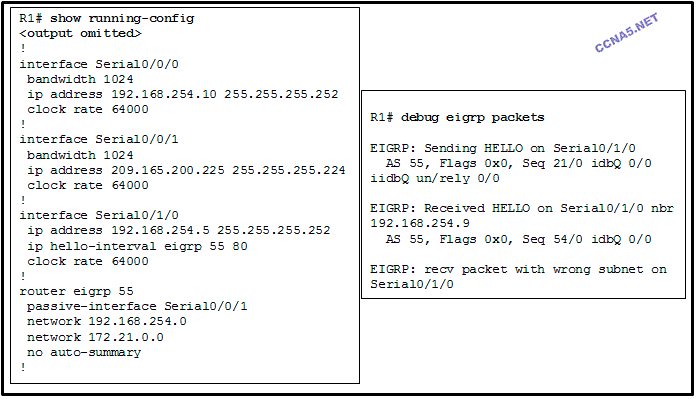 EIGRP authentication uses the MD5 algorithm. 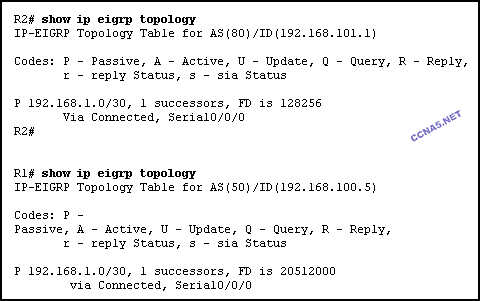 EIGRP authentication uses a pre-shared key. without the authentication configuration and its updates are unprotected. 31. Which command would limit the amount of bandwidth that is used by EIGRP for protocol control traffic to approximately 128 Kb/s on a 1.544 Mb/s link?